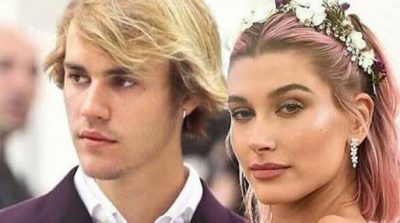 Trouble-prone pop star Justin Bieber will be a married man after popping the question to model Hailey Baldwin whom he has dated for one month, reports said on Sunday. The 24-year-old Canadian heartthrob, who has become better known for his off-stage antics, proposed to the 21-year-old over dinner Saturday night at a restaurant in The Bahamas, the celebrity news site TMZ said. The site quoted witnesses at the restaurant, who said that Bieber’s security team asked them all to put their phones away for the proposal. “Proud is an understatement! Excited for the next chapter!” the singer’s father Jeremy Bieber wrote on Instagram with a picture of his son. Hailey Baldwin, a model who has taken small acting roles, is the daughter of “The Usual Suspects” actor Stephen Baldwin and niece of Alec Baldwin, the “30 Rock” star and nemesis impersonator of US President Donald Trump. The model’s mother is from Brazil. Bieber has been romantically linked with many famous young women including fellow pop singer Selena Gomez and model Sofia Richie. He was first seen dating Baldwin a month ago. Bieber, while remaining a top-selling pop star, became a fixture of tabloids over incidents including racing a car through Miami and throwing eggs at a neighbour’s house in Los Angeles. He abruptly ended his global tour last year after more than 150 shows, explaining that he was trying to deal with his insecurities.